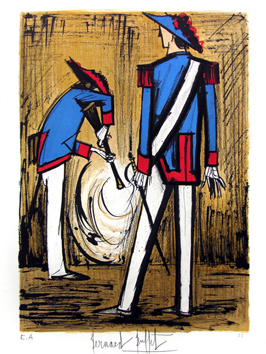 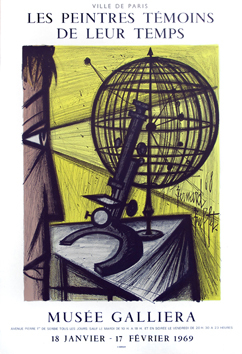 A painting must be analysed but sensed. 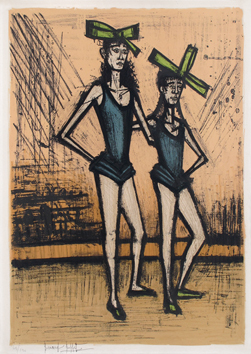 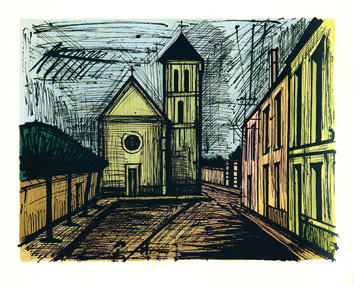 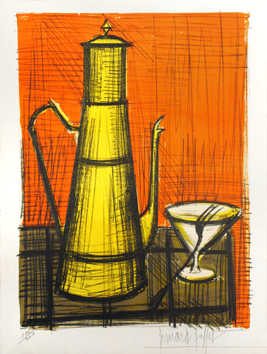 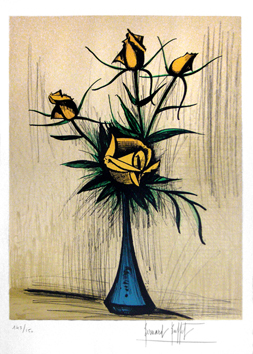 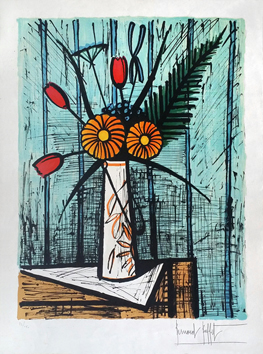 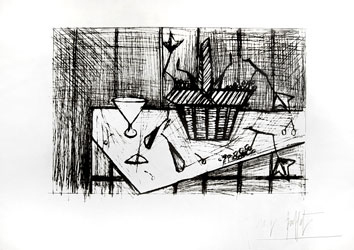 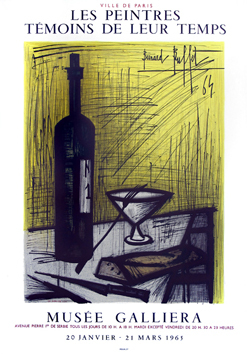 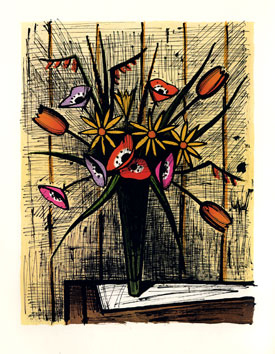 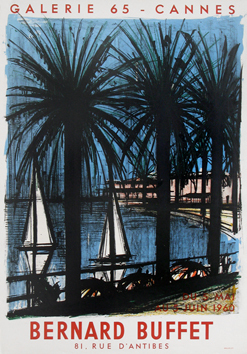 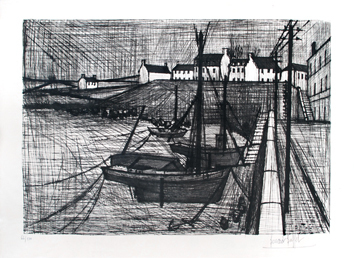 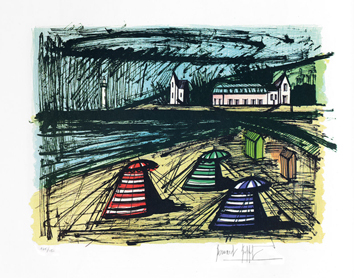 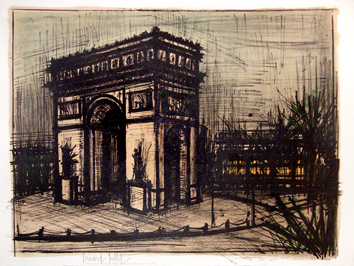 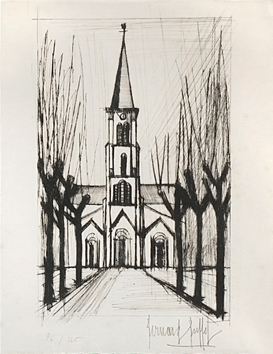 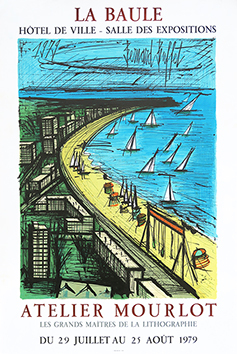 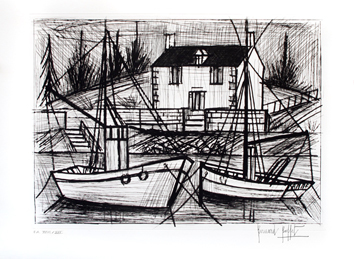 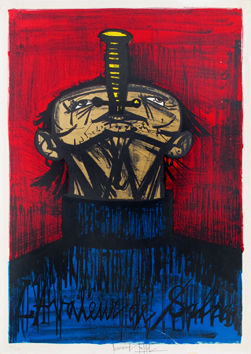 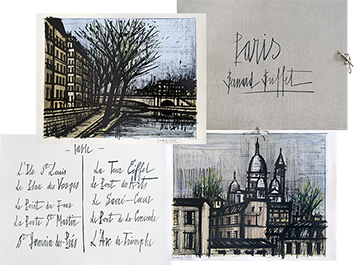 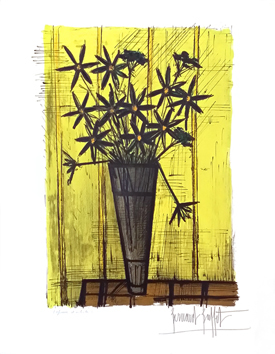 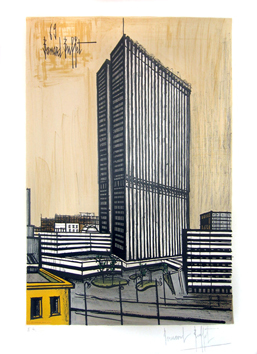 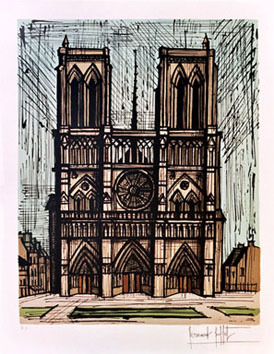 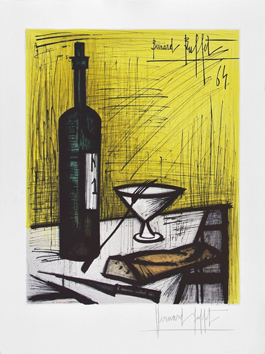 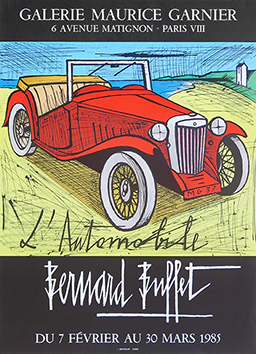 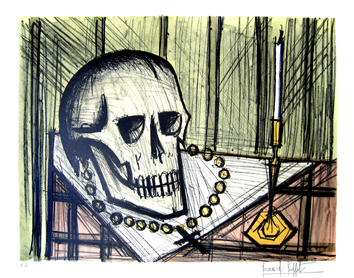 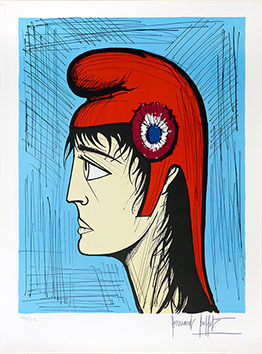 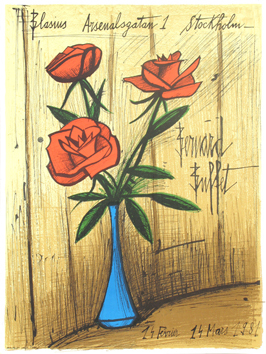 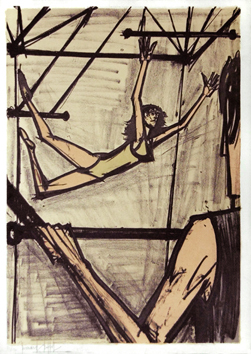 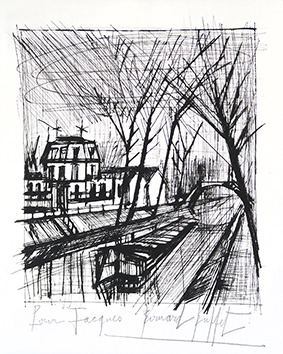 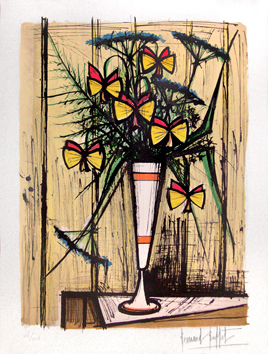 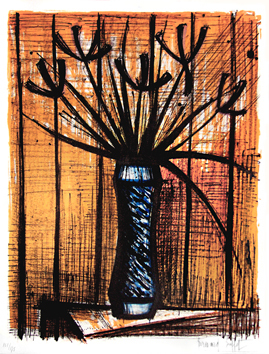 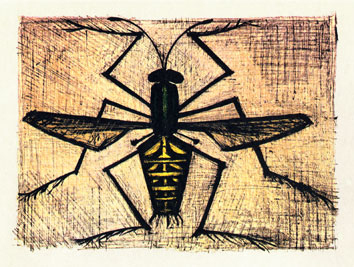 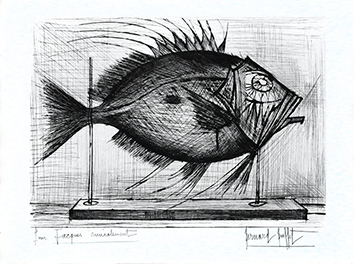 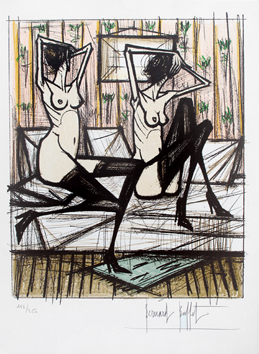 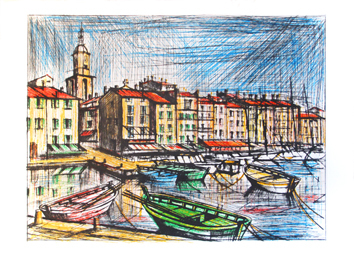 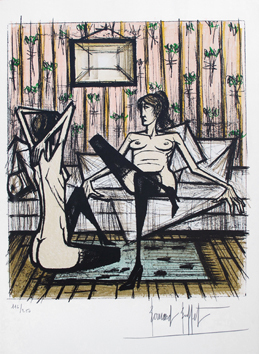 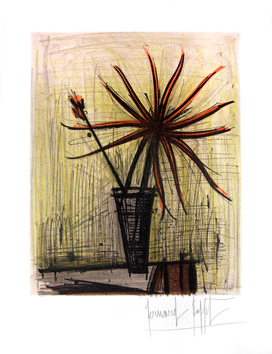 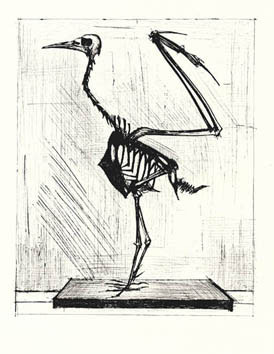 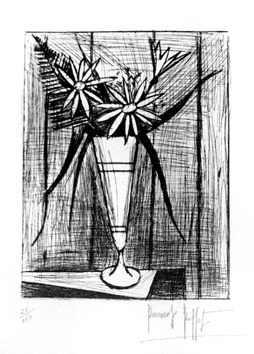 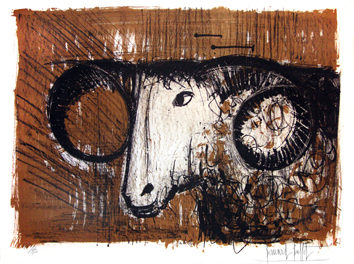 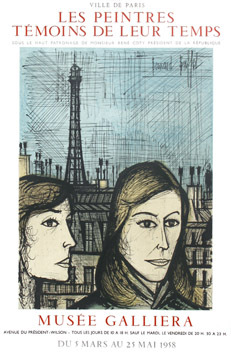 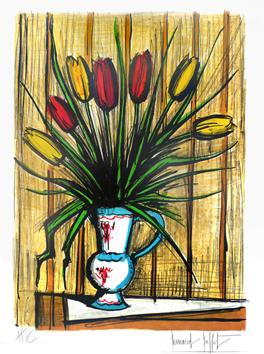 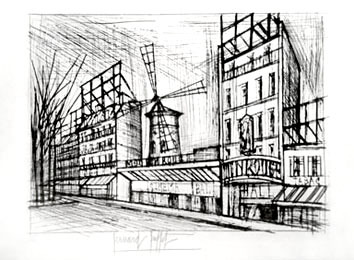 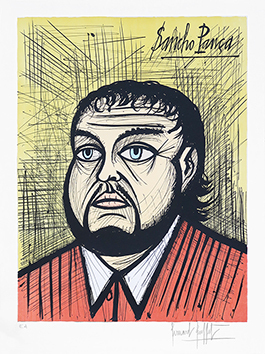 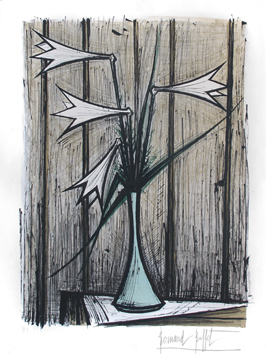 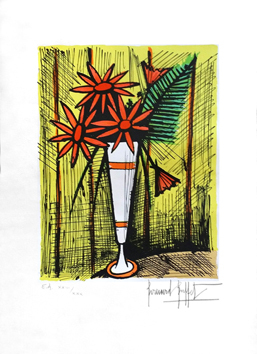 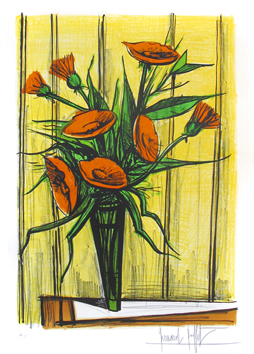 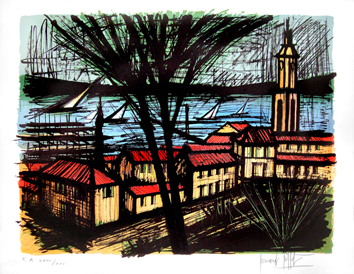 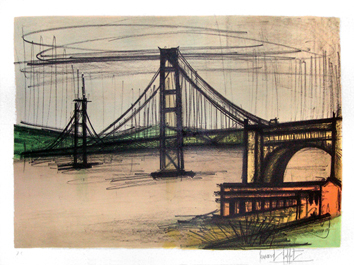 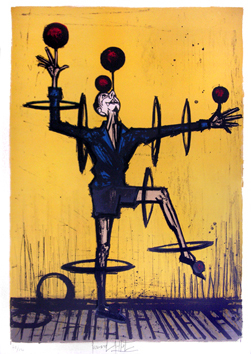 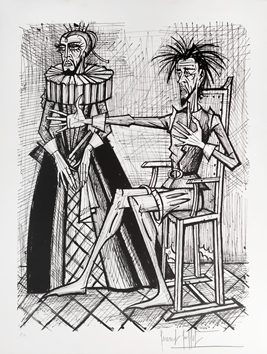 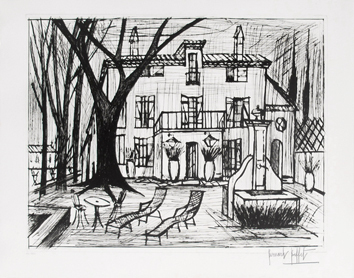 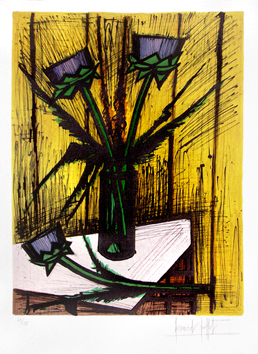 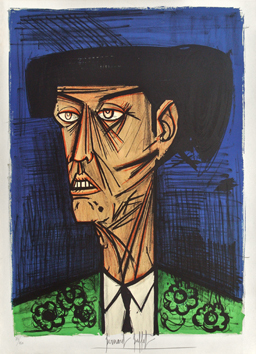 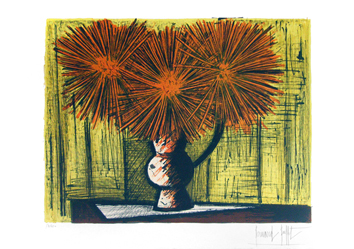 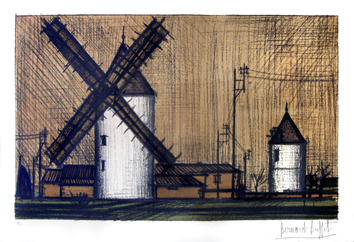 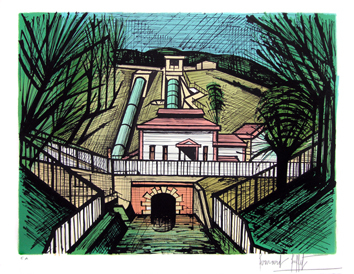 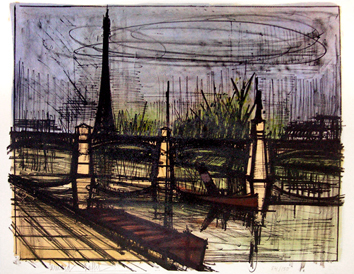 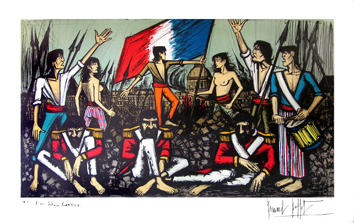 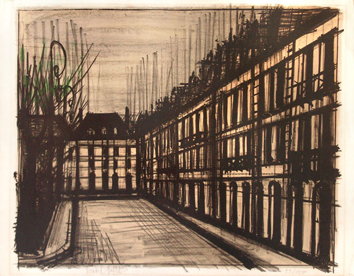 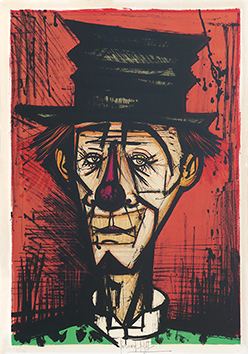 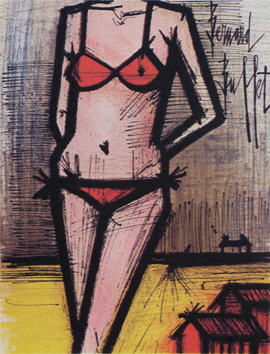 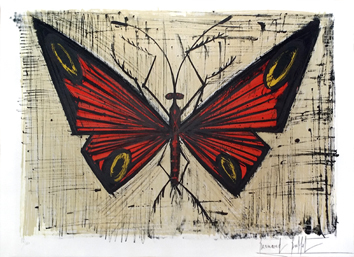 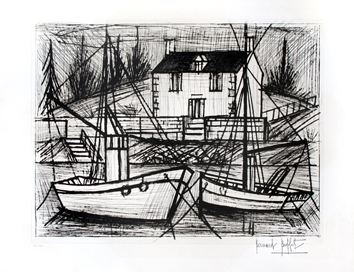 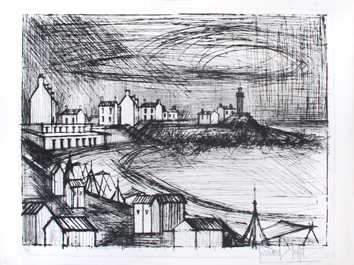 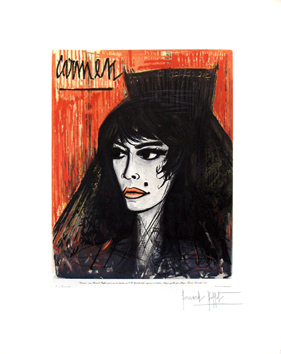 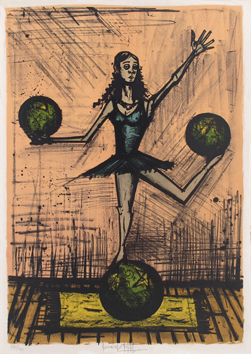 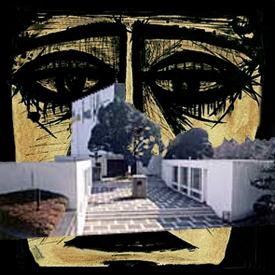 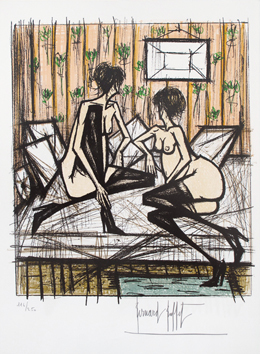 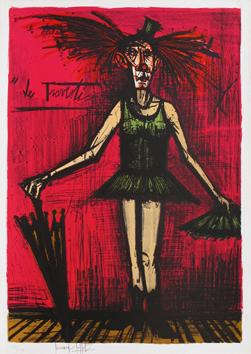 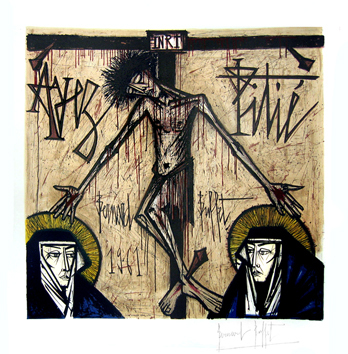 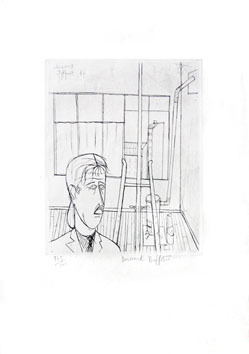 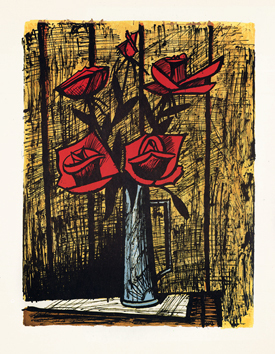 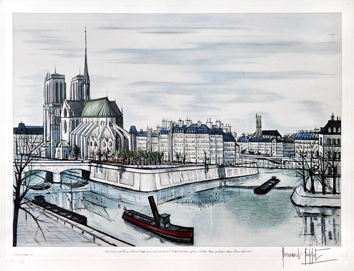 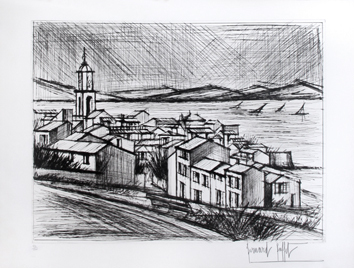 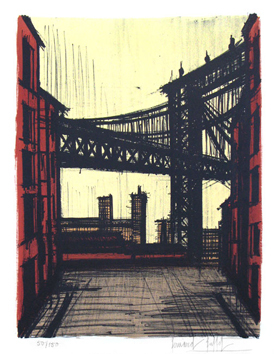 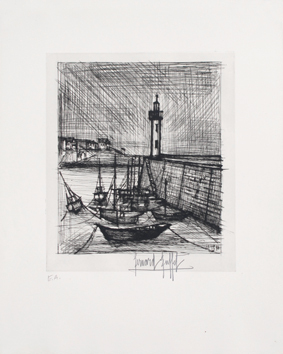 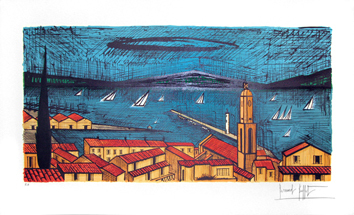 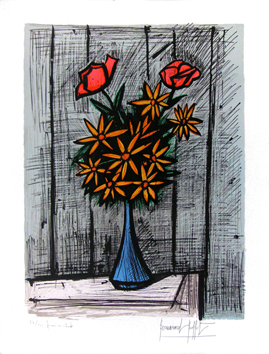 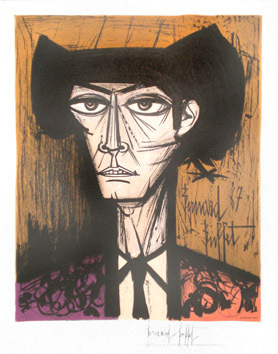 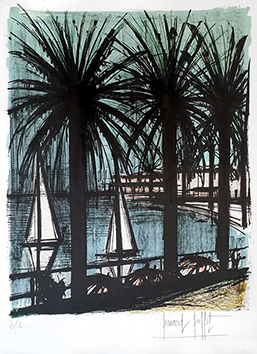 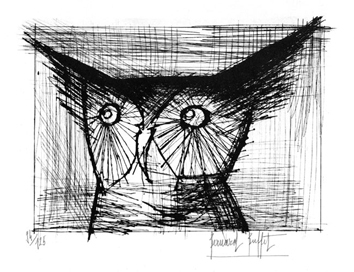 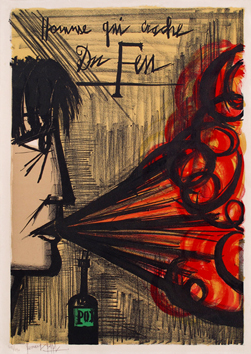 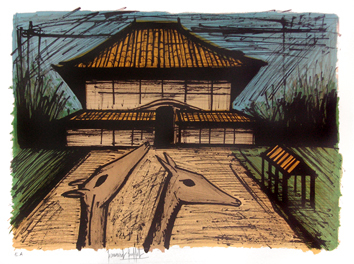 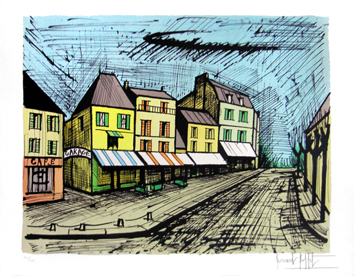 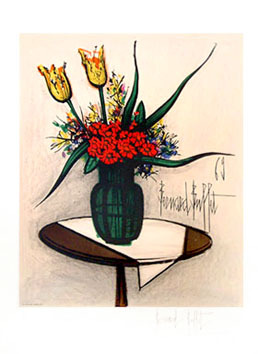 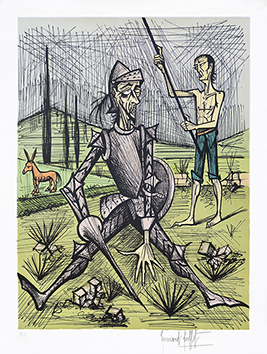 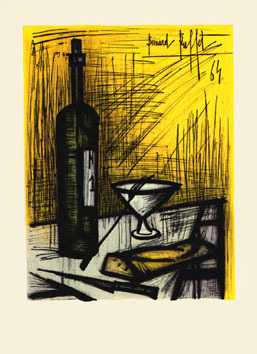 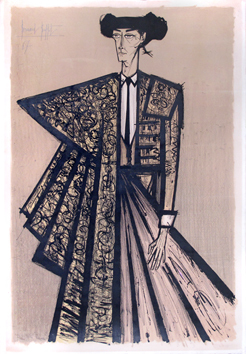 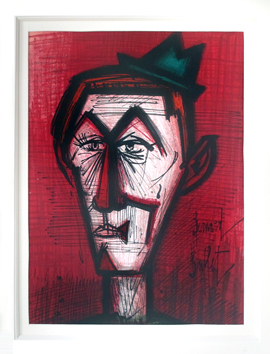 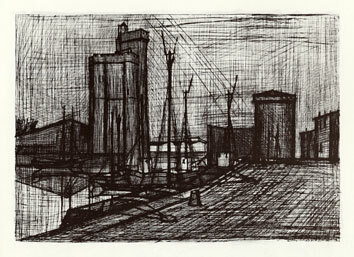 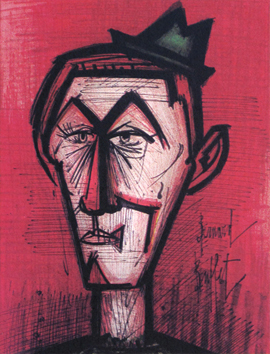 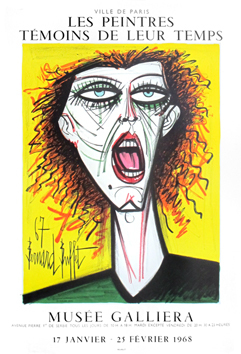 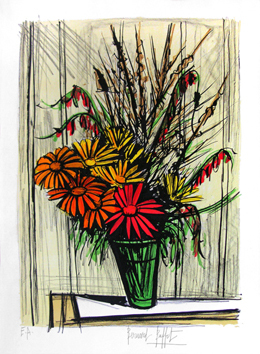 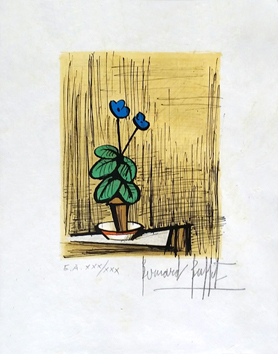 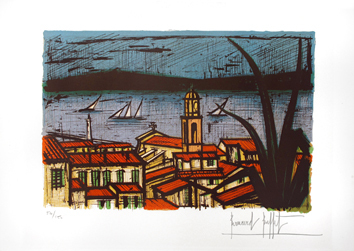 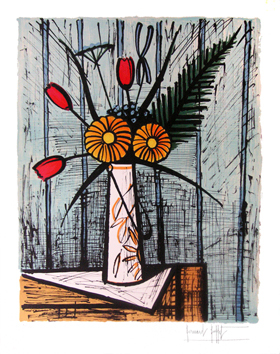 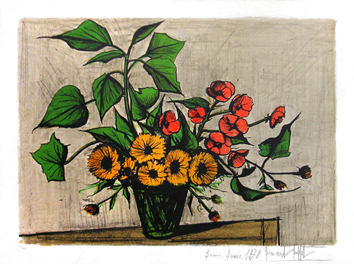 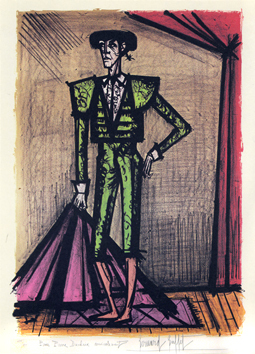 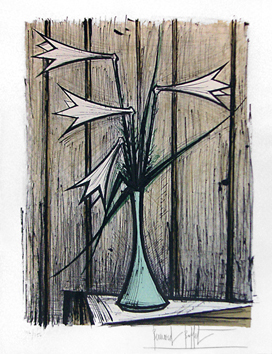 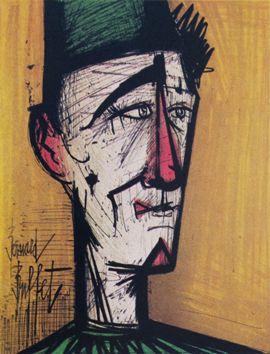 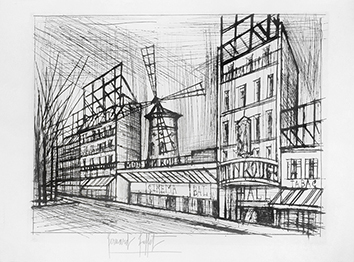 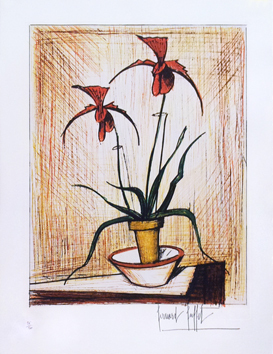 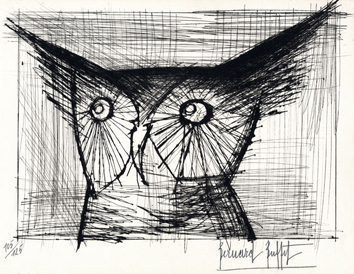 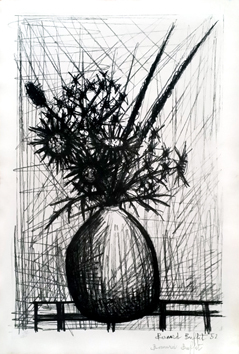 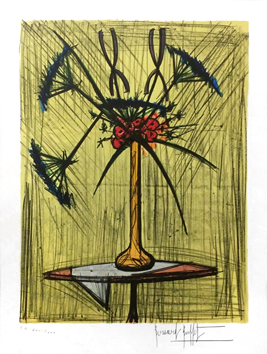 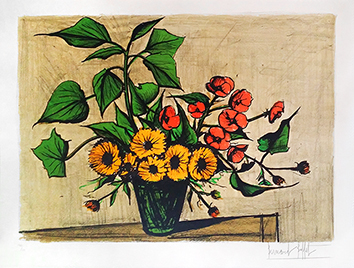 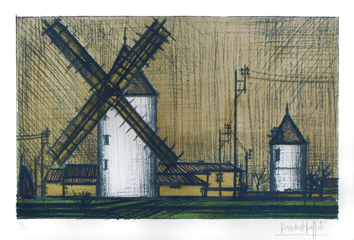 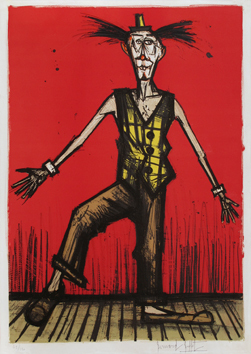 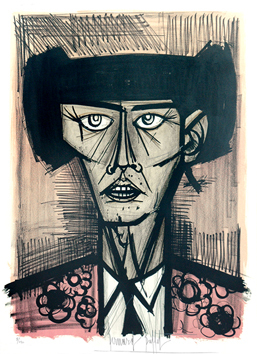 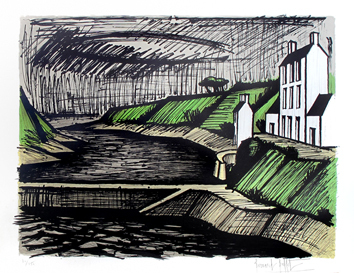 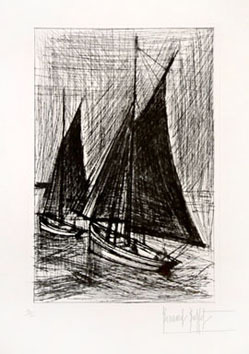 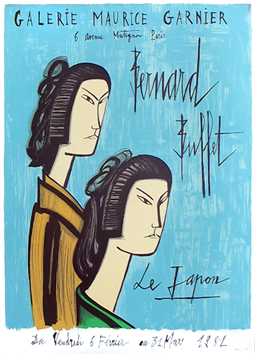 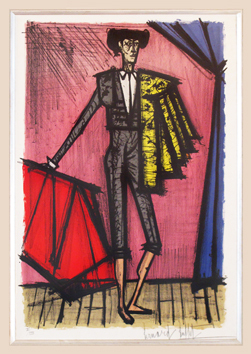 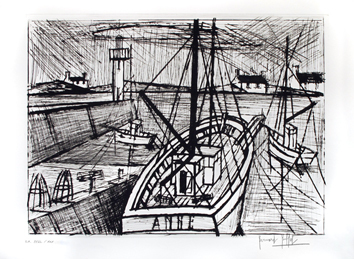 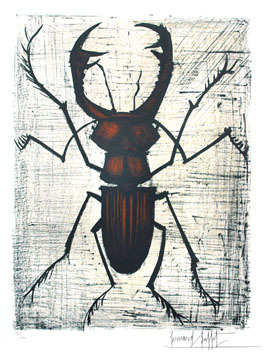 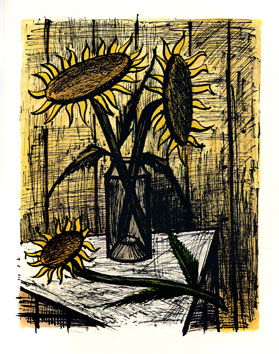 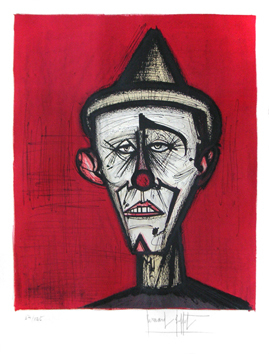 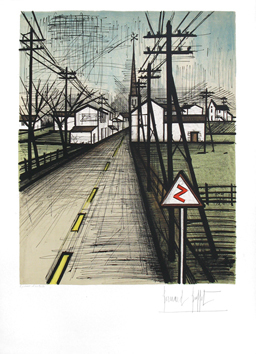 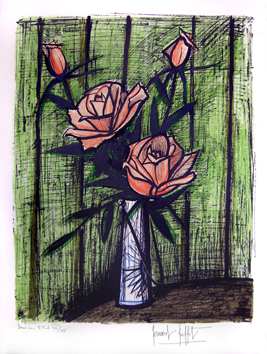 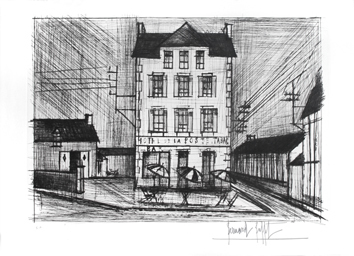 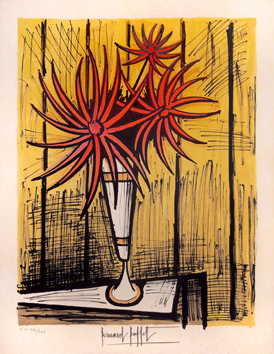 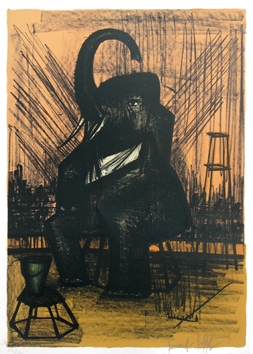 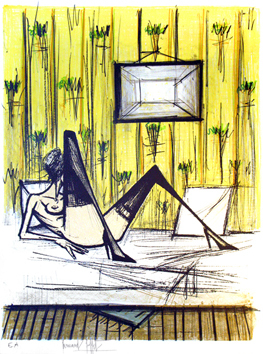 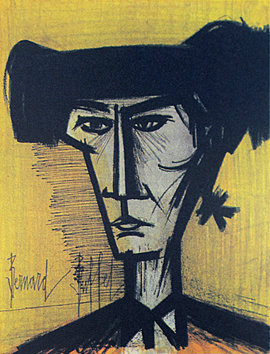 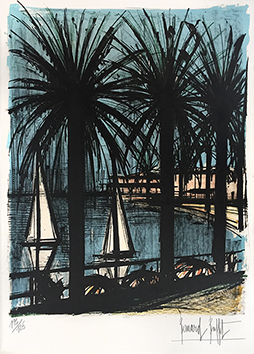 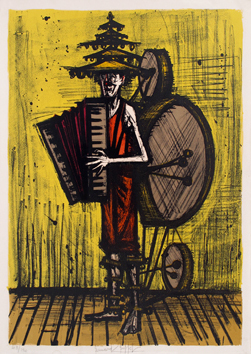 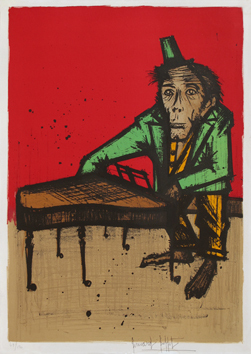 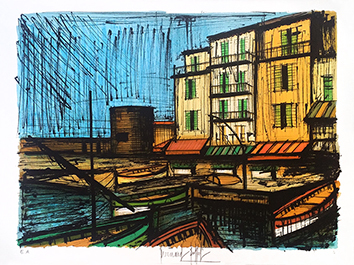 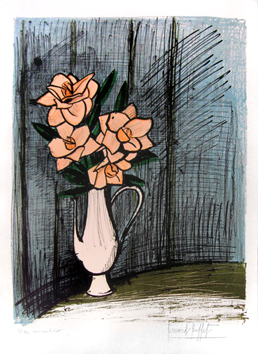 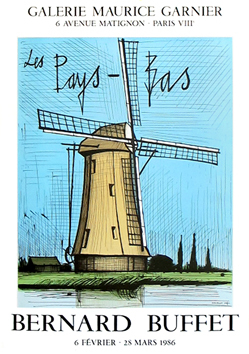 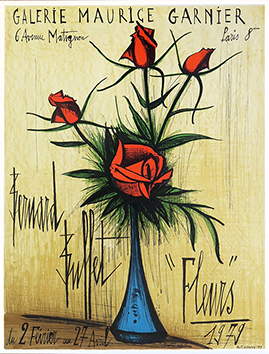 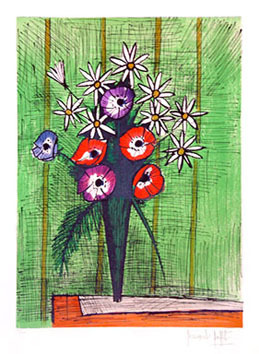 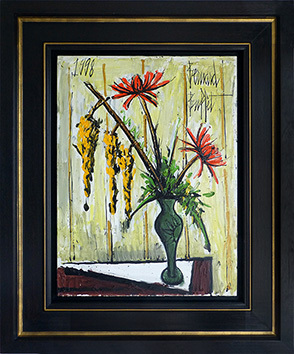 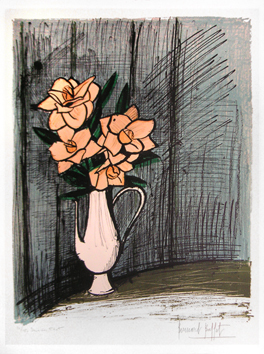 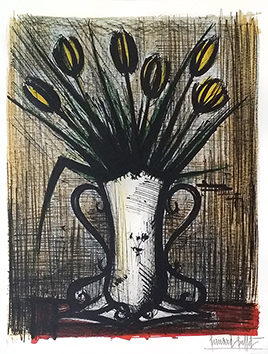 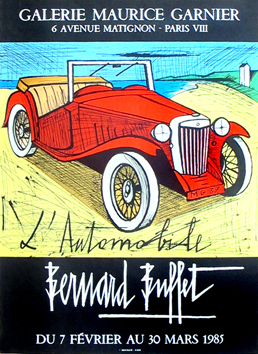 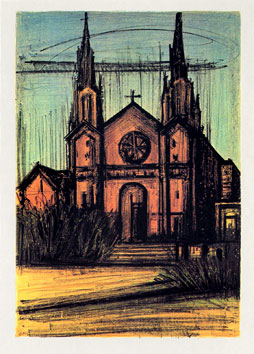 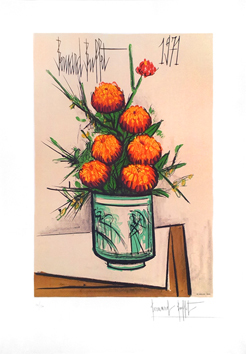 Born in Paris, Bernard Buffet was barely 16 when he enrolled in an art class in a municipal program. 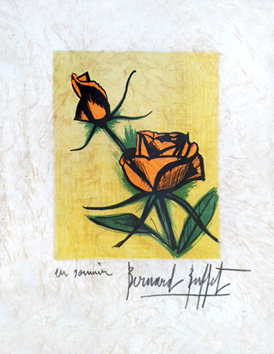 He went on to attend Beaux-Arts for two years. 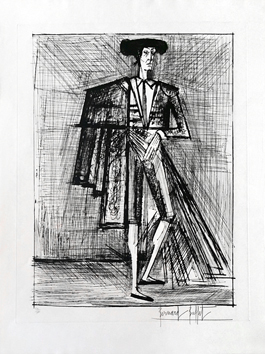 Then he started working on his own, independent of any movement or trend. 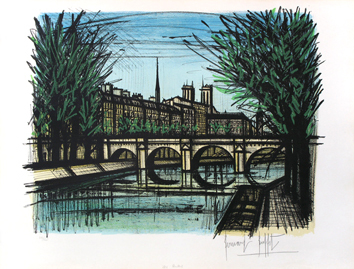 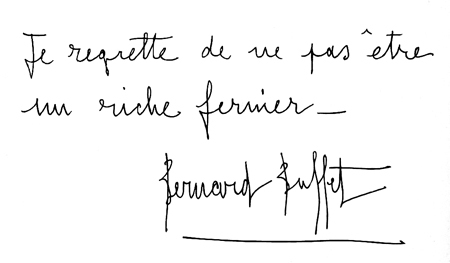 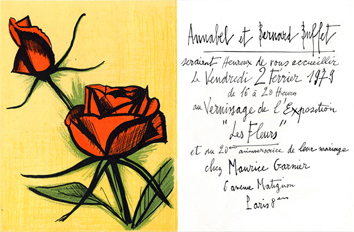 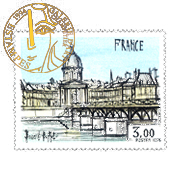 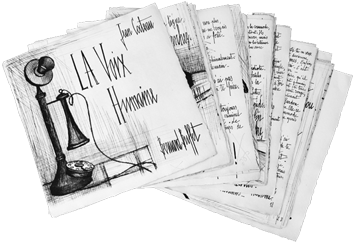 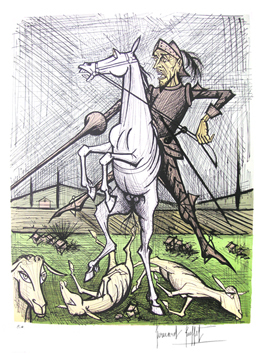 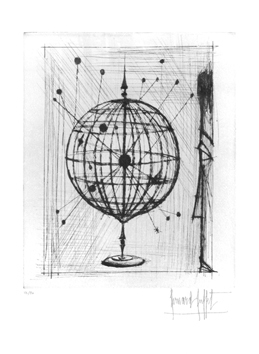 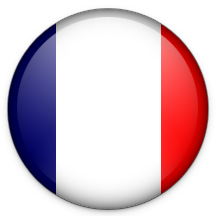 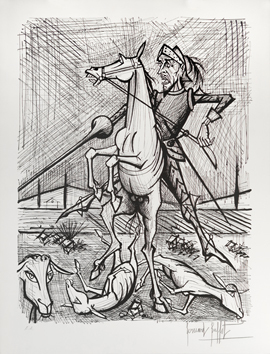 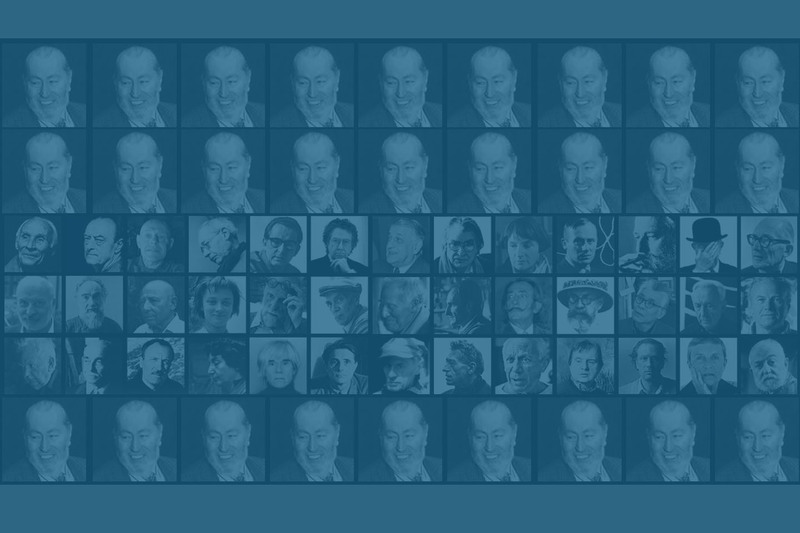 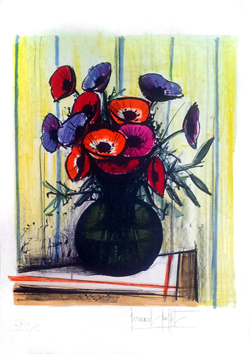 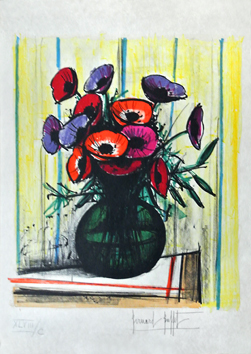 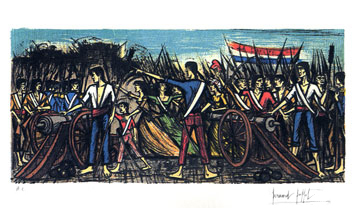 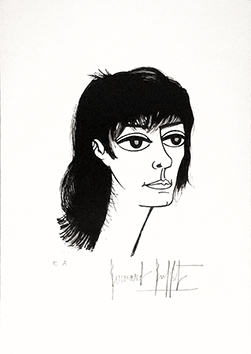 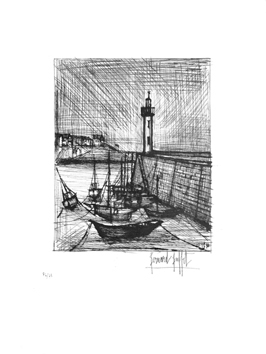 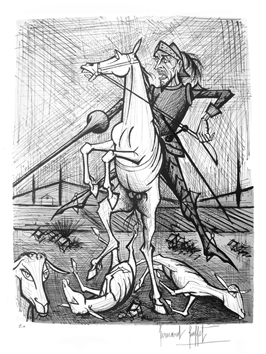 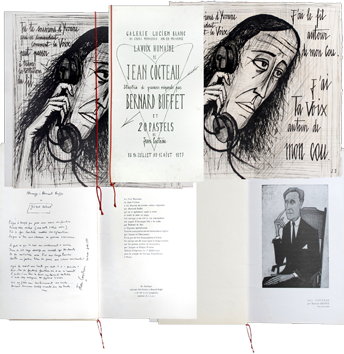 He first showed some of his work with other artists in 1946, which was followed by his participating to various events, Salon d’Automne, Artistes Indépendants, Peintres Témoins . . .